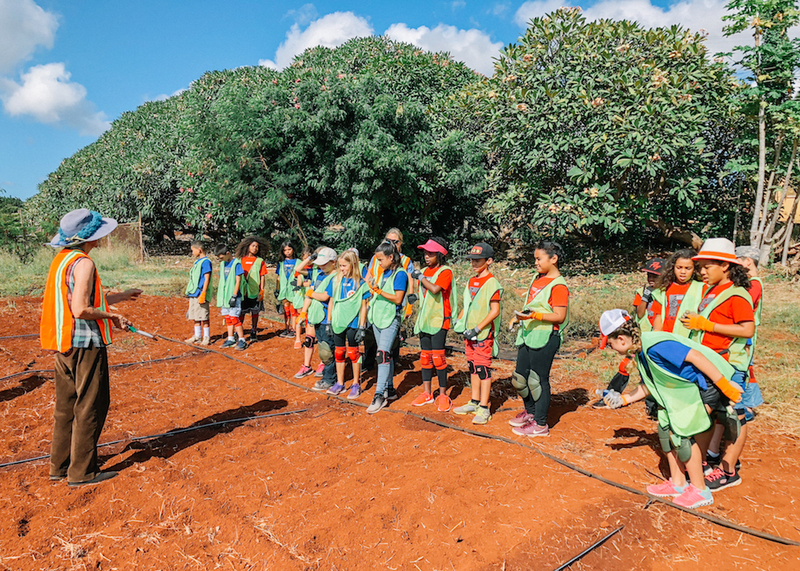 Established in 2014 by James Beard Award-Winning Chef Alan Wong, Veggie U Hawaiʻi aims to inspire young future farmers to pursue an agricultural-related career thus continuing to grow and expand our agricultural industry in Hawaiʻi. The program targets students in grades 3 through grade 5 statewide and currently has over 50 participating teachers in 24 schools statewide. Veggie U is a 5-unit, 25-lesson curriculum that provides students with a seed planting, growing and harvesting experience through hands-on, STEM-focused lessons. Through this program, teachers engage their students with interactive lesson plans pertaining to sustainable farming methods, our local agricultural and making healthy food choices. I was pleasantly surprised that many of my students were open to the idea of trying new vegetables and pretty much consumed vegetables on a regular basis. The children enjoyed tasting various vegetables. They completed their journal entry describing their experiences and especially loved creating their own unique vegetables…students are loving Veggie U activities! The students were very excited to begin something new, especially knowing they would become “mini” farmers. Most students know that vegetables are healthy, but more than half do not eat them regularly. Many students learned new names of veggies along with trying new food. Some students realized that they had never tried that kind of veggie raw, while others shared times they had eaten that veggie before! We are loving the program. We have a very large school garden. The kids are starting seeds in the room then moving them out to the garden as they grow. They are also working on a school fundraiser where they will be selling their plant starts. It has really been great!! !